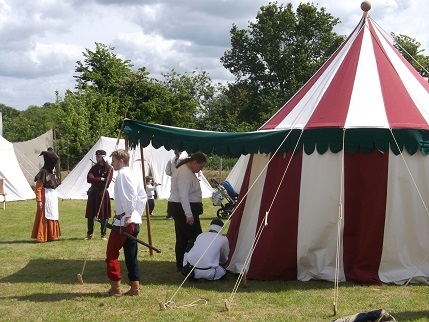 I do love history – you may have guessed if you have been reading this blog for any length of time so I have had a wonderful weekend and little holiday being part of a re-enactment event and then spending three days visiting National Trust properties. The event was in Templecombe in Somerset, a long trip down for us so we took advantage of being in a part of the country we haven’t spent much time in. 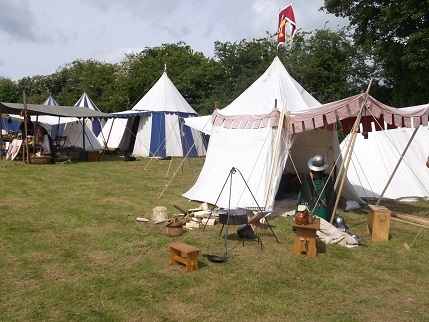 We always have living history encampments at shows and these pictures are of the lovely tents that were on display there this weekend. 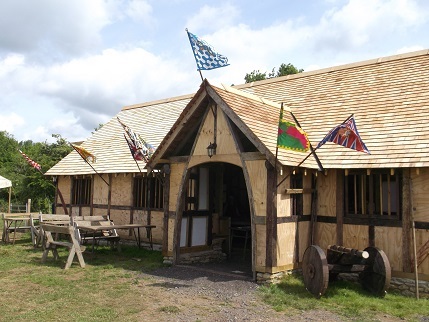 There was also a new addition to the site, this beer barn has been built by the site owners and volunteers and the money for it has been raised by the re-enactors who use it, through auctions last year and on the Saturday night of the event this year and by an online donation appeal. 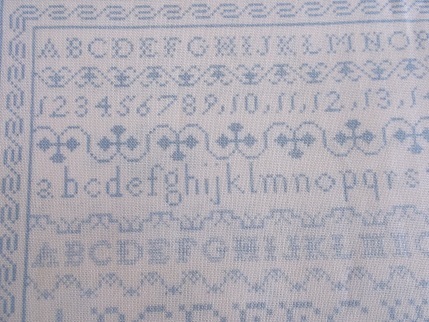 I pledged a custom – made shirt for the auction so am going to be making that this weekend for the re-enactor that won it. 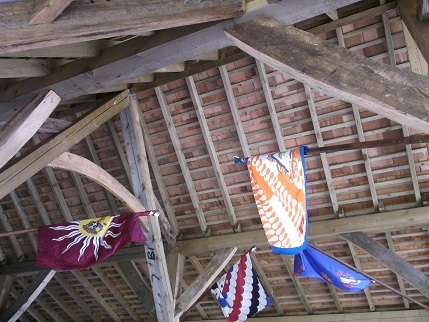 It is a beautiful building and has been made with such attention to detail. 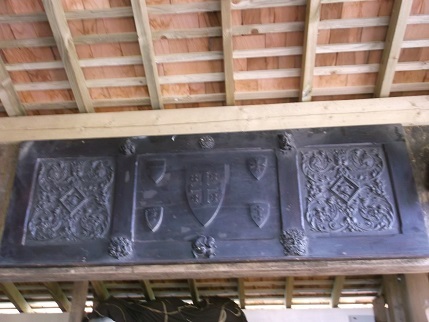 The piece over the bar was carved by the owner of the site. Driving around after the event we saw so many cute little villages as well as the amazing Trust properties. Lots of pictures of those to follow once I sort them out! There was great excitement at one of the properties, Barrington Court, while we were on our way to visit the second-hand bookshop that we always love at these places, (yes I bought more books! 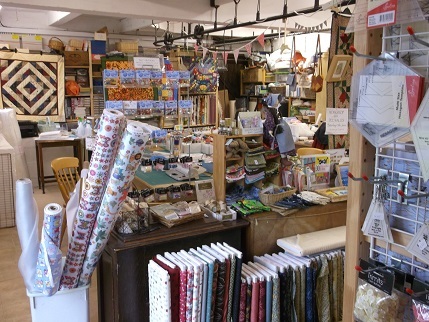 ), we discovered a patchwork shop in the artisan workshops. 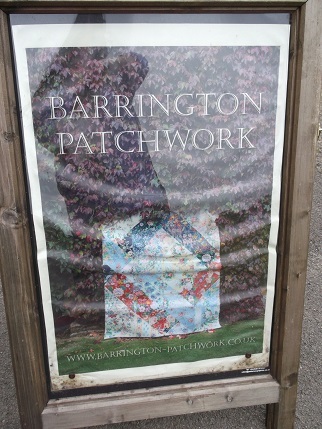 They have a website as well at Barrington Patchworks. 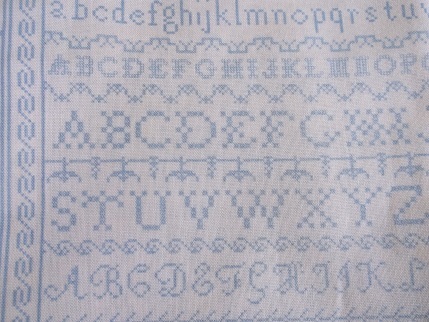 It had an amazing array of fabric but I was very restrained, Ellie persuaded me to buy this very cute print featuring a cross stitch alphabet motif which I thought would be good for the pincushions I will be making for craft fairs later in the year. 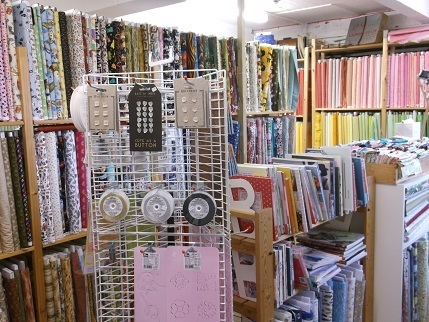 Now back to work for two days until the weekend, got lots of kit to make before the next event in 8 days time! It looks like you had good weather, too! Well usual British summer – hot on Sat so got sunburnt as did not have any cream on then it rained torrentially all Sat night and drizzled all Sun morning but then Sun came out for the battle so that was fine, and we got a dry pack down for the second weekend running – someone up there obviously loves us! 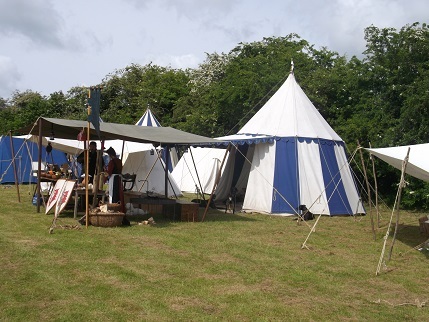 so what do you do in the tents to make it living history?